Home » Blog » How to Write a CV » Does your CV Parse the test? Excuse the dreadful pun in the title but do you know what the parse test is? If the answer is yes than I imagine your CV is well formatted and easily read (parsed) into a recruitment database. If, on the other hand the answer is no, then you might want to look carefully at your CV and ask the following questions. Clearly identify the companies you worked for? Position held in each company? Clear personal detail INCLUDING D.O.B.? This list, which is in no particular order, should be the first thing on your list of changes to make your CV parse. Imagine parsing as CV SEO. If it is not organised and targeted correctly then it will fail to achieve its complete purpose. The days when recruiters would print off CVs and look through them for a suitable candidate are gone. The CV parse is now standard, automatic, and you become an entry in a database. 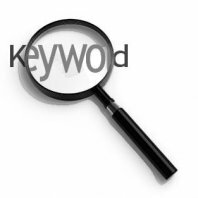 If your keywords are not what they should be then you will probably be missing quite a few opportunities because of poor format. Change it yourself now by looking at our professional CV examples or ask us to write your CV for you. We are often asked why people should use our services and the answer is straight forward. We have the expertise to write a CV for you. We do not ask you to fill in forms or just reformat your old CV. We interview you (so be prepared!). We send you a draft copy to show you the progress, take feedback and adjust the content if required. We then complete the document to your satisfaction. The new professional CV will change the attitude of recruiters but more importantly, we find that it changes your attitude and you will be re energised and far more positive about looking for work. Finally, your professional CV will pass the parse test. For a full list of services, click here.